WIN! an amazing pair of 24-carat gold Bloc & Roc headphones! 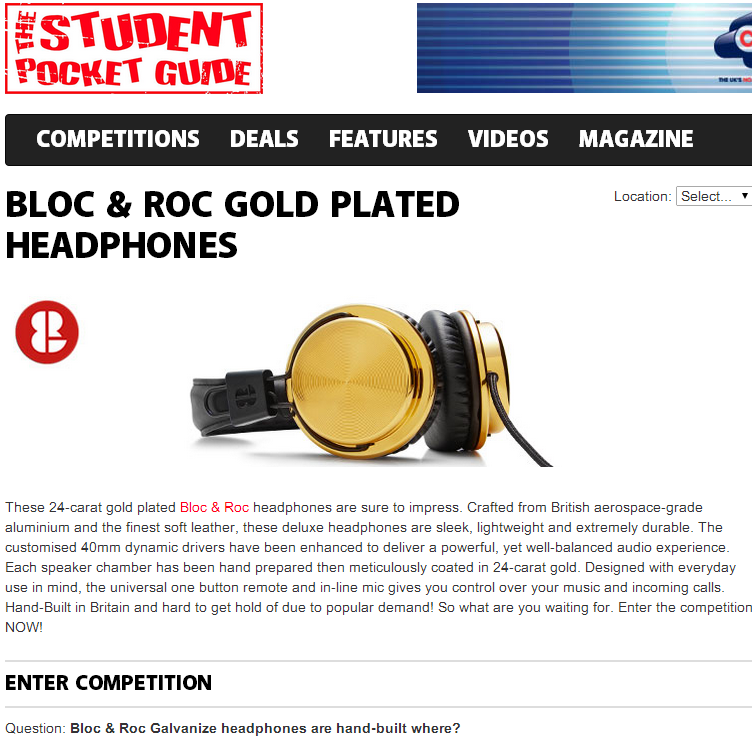 Providing students with discounts, entertainment and tips to save money, the multi award-winning Student Pocket Guide are now offering you the chance to win a phenomenal pair of 24-carat gold plated, Bloc & Roc headphones! Built with everyday use in mind, this extraordinary model will allow you to have full control over your music and incoming calls with a one button remote and in-line mic!